"The primary purpose of the Association is to research, educate and preserve the heritage of the German Pioneer Andreas Killian and affiliated families who settled in the early 1700’s around the Catawba River in what is now Catawba County, North Carolina; and to assist other inquirers nationally or internationally on Killian research which may or may not be related to Andreas Killian of North Carolina." 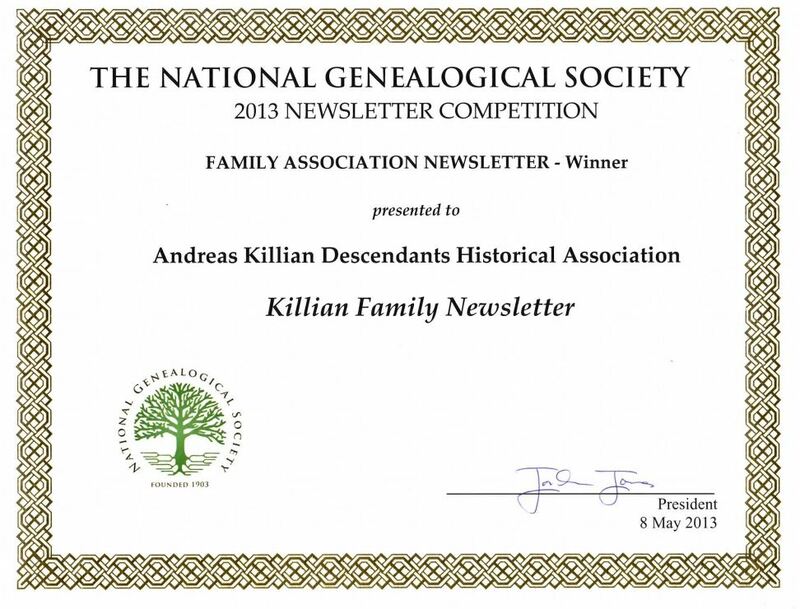 Andreas Killian and our forefathers came from Steinbach an der Holzecke, Germany. Click on the map image at left for an interactive map of the area. Book by 'William Randolph McCreight', available by mail from the editor for only $45.00. This includes handling and shipping. All proceeds from the book going to AKDHA. Book by 'AKDHA' available by mail from the editor for only $30.00. This includes handling and shipping. 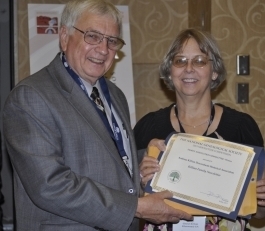 honored excellence in the categories of newsletter editorship and service to the Society with the presentation of several awards at the Opening Session this morning. NGS President Jordan Jones presented the following awards. Group picture of those attending the 2011 Reunion on Friday. Group picture of those attending the 2011 Reunion on Saturday.